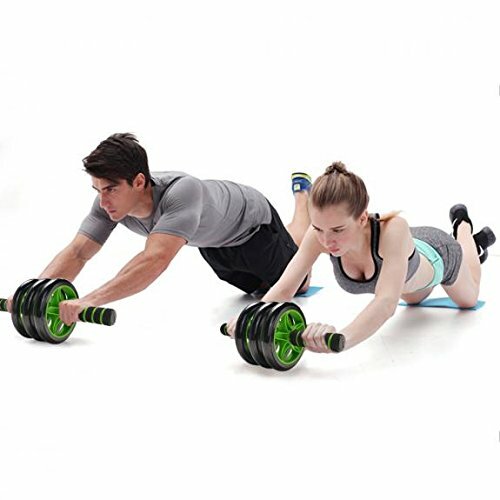 Description The Perfect Ab roller will carve your core and help you get ripped abs and sculpted arms.The 3 wheels are nice for keeping balance as you extend. 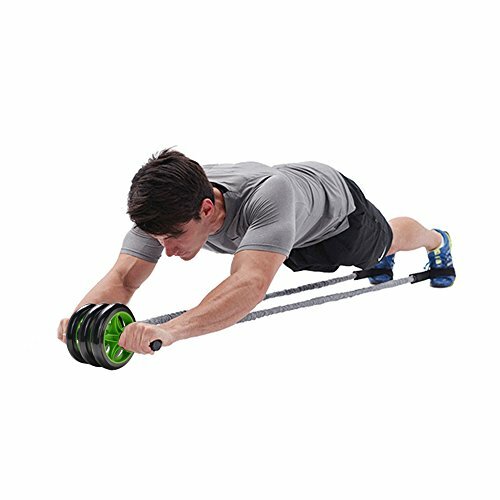 The Perfect Ab roller will carve your core and help you get ripped abs and sculpted arms.The 3 wheels are nice for keeping balance as you extend. 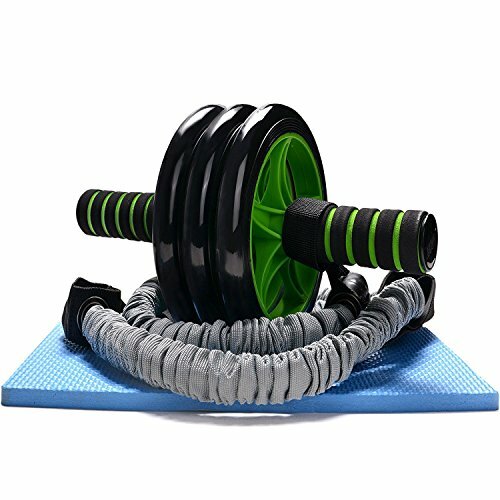 This AB wheel came with the knee pad and the elastic bands. 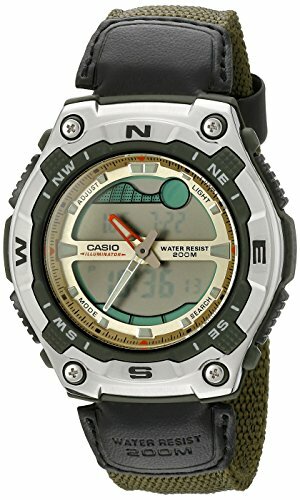 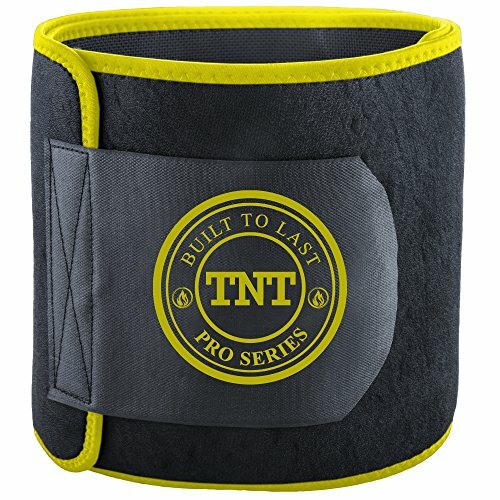 It is easier to use with the resistant straps. 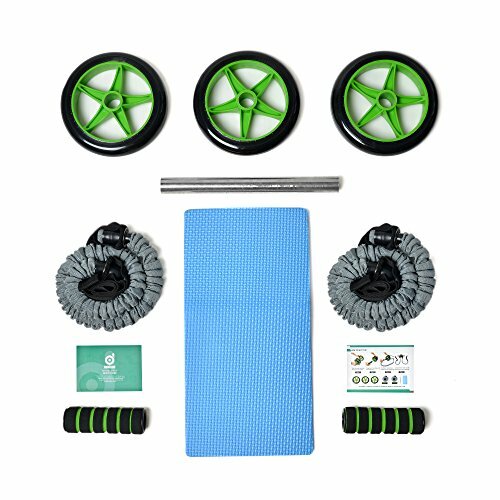 3-IN-1 AB ROLLER KIT: 3 wheels with a resistance band and a knee pad to help maximize results of ab roll-out exercises.It comes with a carry bag so you can take it with you or to just be able to store it neatly. 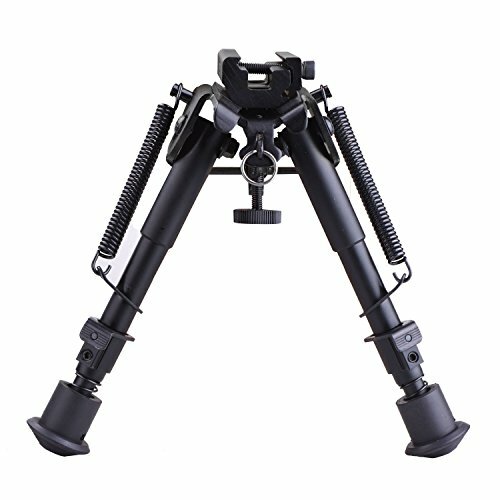 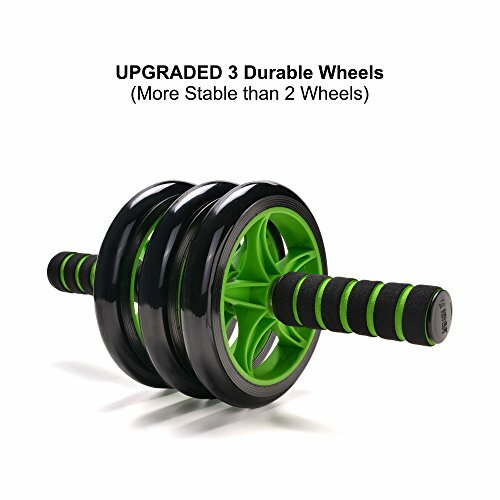 UPGRADED 3-WHEEL DESIGN FOR STABILITY: This is very stable with three wheels in use and it is easier to use with the resistant straps for beginner.Ultra-stable wheel tread and leg extensions offer stability when carving left, right or center for targeted work on obliques.The resistance bands are also great for other exercises! 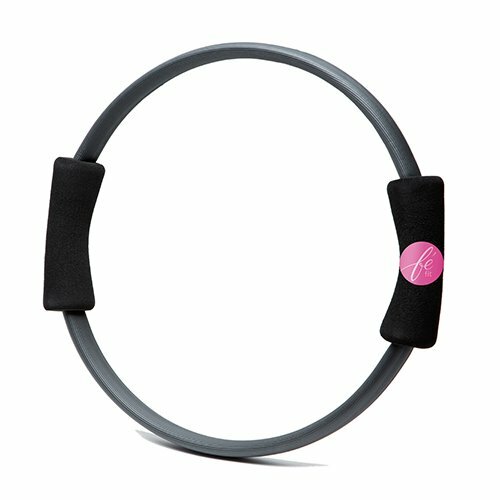 STARTER GUIDE:Tons of exercise you can do with the wheel and resistance bands. 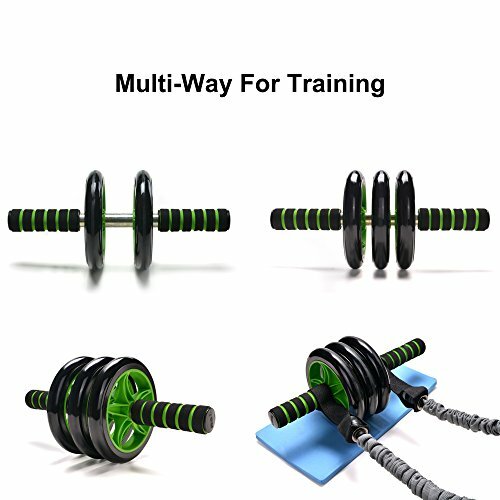 If you don’t know how to start your workout, just contact us for the e-book. 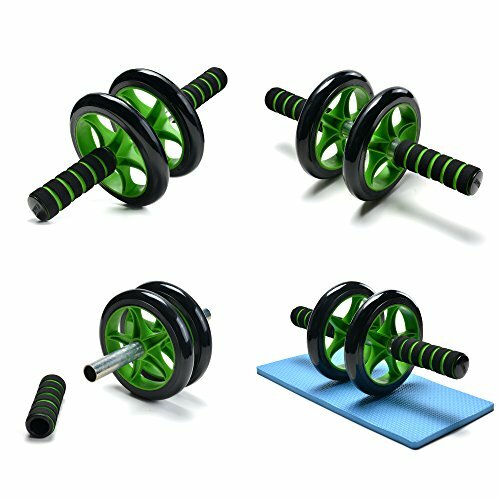 ANTI-SLIP AND KNEE PROTECTING: The AB roller kit comes with a resistance band and a knee pad. 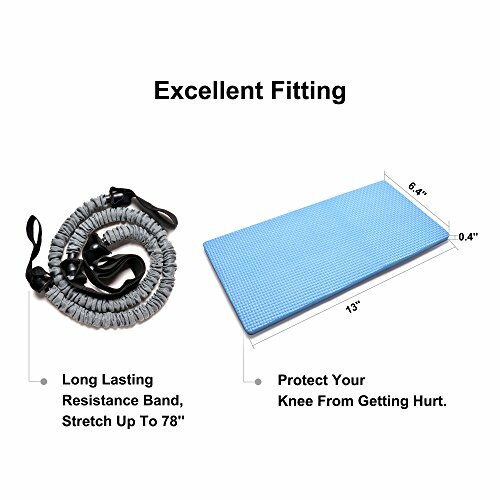 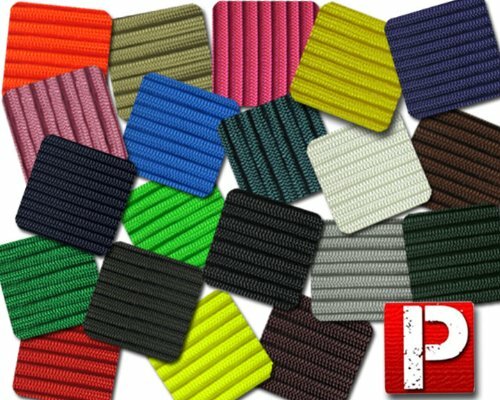 The handles of the long lasting resistance band are anti-slip and the comfortable knee pad can protect your knees from getting hurt. 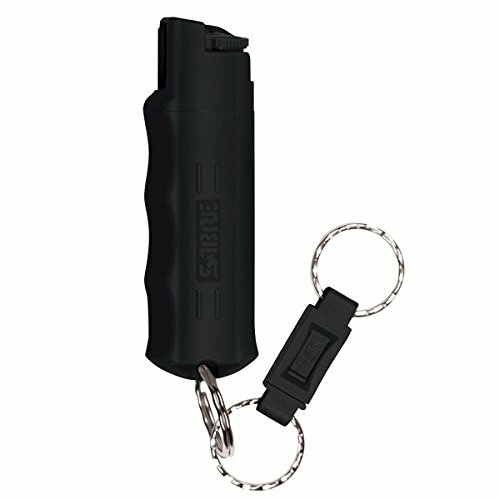 Handles are removable for easy storage and transport. 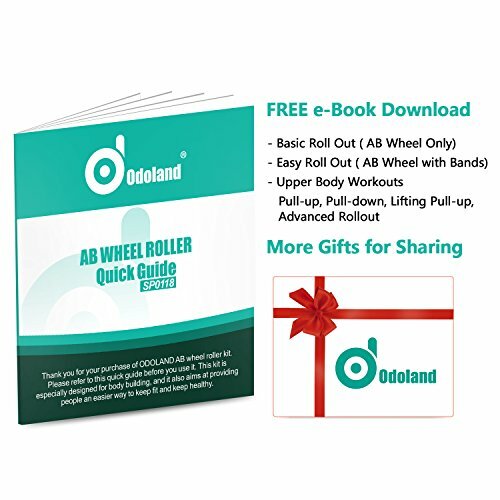 From BEGINNER TO ADVANCED:Put it together with 3 wheels and leg extentions as a beginner.Remove a wheel when you become a truly advanced.